WHO KNOWS how long Pete Herman would have been a champion had he not lost his vision. What is certain, though, is that Herman was one of the smoothest boxers of his era. After he beat the great Jimmy Wilde, Wilde simply conceded, "I can sincerely say that Herman beat me because he was the better boxer." 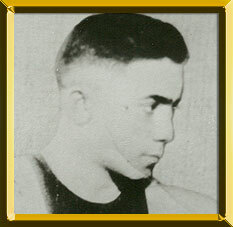 Born in New Orleans on February 12, 1896, Herman participated in his first pro fight in 1912 at the age of 16. Two years later he impressed the boxing world by holding his own during a 10-round No Decision bout against world bantamweight champion Kid Williams. They fought again with the title on the line in 1916, just five days before Herman's 20th birthday. The bout was staged at the Louisiana Auditorium in New Orleans and ended in a 20-round draw. Herman's manager lured Williams back to New Orleans 11 months later for a rematch. He promised the champion $5,000 and allowed him to pick his own referee. Williams brought Philadelphia-based ref Bill Rocap, who after 20 rounds of fighting awarded Herman the decision and the bantamweight title. Herman engaged in 149 bouts and was knocked out just once, by Frankie Burns in 1914. As champion, Herman sought a rematch with Burns but made the day of their 1917 return bout even more memorable by getting married the afternoon of the fight. Later that evening, before the honeymoon officially begun, Herman avenged the loss by decisioning Burns over 20 rounds. Like many champions of his day, Herman did not make many title defenses. In fact, he went from November of 1917 to December of 1920 without a title fight. But he didn't avoid quality opposition. During that time he fought such notable bantamweights as Zulu Kid, Johnny Coulon and Johnny Ertle. In 1920, a mega-fight was signed pitting Herman against Wilde, the legendary flyweight champion from England. But three weeks before the fight, Herman lost his bantamweight title to friend Joe Lynch at Madison Square Garden. It was believed that Herman intentionally lost the fight so the title would remain in America. The Wilde-Herman fight was a classic. The bout was close after 14 rounds, but Herman managed to hurt Wilde in the 15th. Fighting with an eight-pound weight advantage, Herman continued to wear down Wilde and sent him through the ropes three times in the 17th round to end the fight. Afterward, both men said it was the toughest fight of their careers. Although Herman always denied he intentionally lost to Lynch, the appearance of impropriety gained more credibility when he easily outpointed Lynch to regain the title on July 25, 1921 at Ebbet's Field. But Herman's reign would not last. Two fights later he lost the crown to Johnny Buff. It has been reported that Herman was already blind in one eye by the time he fought Buff. He fought just five more times, winning each contest, and then retired in 1922. Herman wound up completely blind. Nonetheless, he was appointed a lifetime member of the Louisiana State Athletic Commission. He died in New Orleans on April 13, 1973.